Club Nimbus was founded in 2004 by members Tacoma and Lunati. Elwood Flickertail joined in 2008 and the Club is maintained exclusively by its founding members. Tacoma began work on the dream in August 2004, it went live in the summer of 2006 and was revamped with fully custom patches in 2012. Lunati and Elwood Flickertail helped fund our Dreamer's Domain from the Second Dreaming. We held a donation drive for the dream's 10 year anniversary in August and are now happy to announce our World Package for life! Club Nimbus is continually being upgraded with more areas, avatars and mechanics. We really mean it when we say there is something for everybody here. Art and story by Tacoma, with scripting by Lunati and support by Elwood Flickertail. Club Nimbus is a dream with continuity but in most areas you can enjoy relaxed roleplay as well. Currency System with a random spawning treasure hunt, gold for higher professions and opium for trade between Medics and Slaves. Gold can be used to buy enchanted drinks at the bar with various unique effects and auras. Bar with interactive bartender, Skye Rufflequill. Our bartender has his own personality, greets passersby and amuses himself between work. An additional non-staff Bar is located at the Stage Area where anyone can serve. Change the color and designs of the Pillow Pit the way you like it! Subject all around you to your superior decorative tastes using the lamp switch and some of that extra gold you've earned. Mini Quests and Special Items with effects like Portable Beer Kegs, Magic Mushrooms, Poppy Tea, Celebration Cake and much more! Stunning Sky Gardens spanning across the floating isles of Nimbaterra, connected by bridge. Mystical Ice Caverns for you frost-loving furres out there! Burrow Homes for Ferians & Friends. New Weasel/Ermine and Opossum avatars seen nowhere else in Furcadia. You can scent mark and decorate your own burrow! Vending machines in the basement with over 50 different items including pillows, plushes, enchanted objects and more! Fully custom Portraits for most species and patches unique only to Club Nimbus. Attractive and User-Friendly Chat Interface with custom Gryphon Emotes. 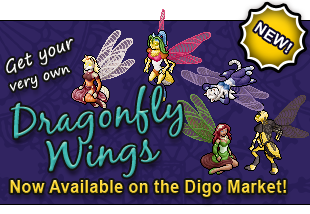 Custom local species include harnessed Grand Ferian Gryphons, Mini Gryphons, Harpies, Cloud Wyrms, Kangaroos, Thylacines, Werewolves and more! Learn the History of Nimbaterra and the Club in our library. Absolutely no harassment, name calling or trash talking other players or dreams in Furcadia. Do not bring drama to the OOC area or you will be banned. Do not make racist, sexist, homophobic, transphobic or offensive remarks. If someone is harassing you, please let one of the staff know. Follow guidelines for respectful Roleplay. Do not force anyone into a situation they have made clear is not alright. Please use proper grammar and pronunciation when roleplaying. Do not use maximum kittersize in the OOC area as this spot tends to get very crowded. All Characters must be at least 18 both In-Characer and OOC. No children are allowed in this dream, not even in roleplay. This is not just our rule, this is Furcadia's rule as well. Any violators of the age rule will be instantly banned. Tacoma, Yoyo the Yoshi, Myrslok. Feel free to send screenshots and logs of misconduct to tigressfire@gmail.com. We will act quickly in removing the problem furre if proof is presented. We finally got our web domain at Nimbaterra.com! The dream url is now at Nimbaterra.com/dream.html. 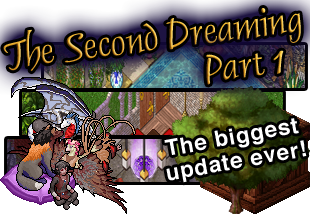 Please update your bookmarks and stay tuned for future developments on the isles! Club Nimbus has been redesigned with 32-bit patches! We will continue to keep all patches as pixel art, our color palette has simply expanded. This will let us add new lighting and features in the future. It's our tenth anniversary! Come party with us and get your free celebration cake at the bar, trade Opium for a portable brew keg which lets you serve up beer anywhere and decorate your own burrow home! The dreambot will be giving out free snugs, muffins and chocolate strawberries for the month of August to random patrons! We're also hosting a fundraiser with premade portraits and other cool rewards for our next goal: A new domain for our ever expanding website! Open your account. You will not have a job or a paycheck until you move to the next command. Change your class from unemployed to one of the following to earn a paycheck or Opium: Slave, Rogue, Blacksmith, Dealer, Club-Worker, Alchemist, Medic, Bouncer, Gardener, Noble. Check how much you have. Additionally, you can just click the gold button. Give another Furre some of your Gold. Give another Furre some of your Opium. Morph into a Mini-Gryffe Feral. Morph into a Mega-Gryffe Feral. Morph back into natural avatars. Make a Pillow. F3 over the pillow to change it. Teleport to the Sky Gardens. Teleport to the Ice Caverns. Teleport to the Bath House. 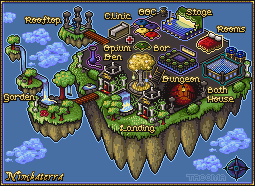 Teleport to the Clinic and Pharmacy. Teleport to the Cosmic Cafe. Artists & Developers of Club Nimbus. Join the Active Roleplayer's List. View the Active Roleplayer's List. Read the rules of the dream.